Nigel is the Vice President and of Head of UK Insurance. Over the last 5 years Nigel has been actively engaged with key technology partners – supporting clients across the UK insurance industry. Nigel joined Capgemini in 2010 having previously worked for a variety of US based start-up’s, working specifically into the financial services sector. He has over 15 years’ experience in leadership, bringing emerging technologies to market in EMEA Nigel sits on the Capgemini CR&S board and is the Executive Sponsor for the UK Community programme working with charities including the Princes Trust, Children in Need and Nanhi Kali. 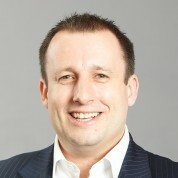 Nigel also sits on the UK Digital Board.